Don’t be alarmed. All of our penguins are present and accounted for and this story is a common urban legend that has been circulating for years. All penguins present and accounted for! While the details vary from telling to telling; the main gist of the story is that a child wearing a backpack gets separated from their family or school group. Once reunited the child wants to go home. At home the child goes and takes a bath. After hearing lots of splashing in the tub, the parents check in and are surprised to find a penguin in the tub with the child. The penguin is immediately returned to the Aquarium and the embarrassed parents reprimand their child. First: the design of our exhibit makes it pretty difficult for a person to get in and out unnoticed. 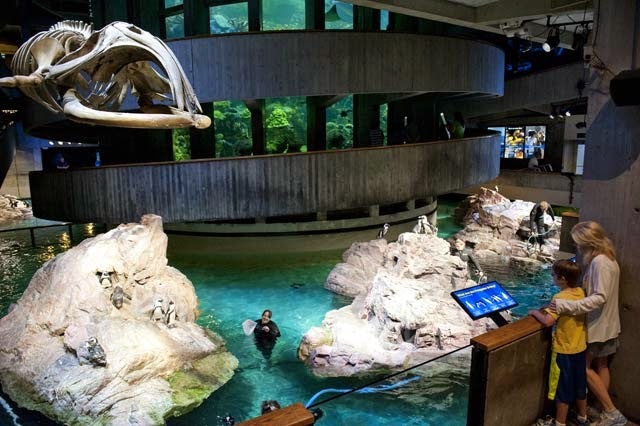 All penguin personnel wear wetsuits in the exhibit every day to feed and take care of our penguins and a soaking wet child would be quite noticeable. while visitors look on from above. Second: penguins are quite vocal when being picked up and transported. It is doubtful that a penguin in a backpack would go quietly. 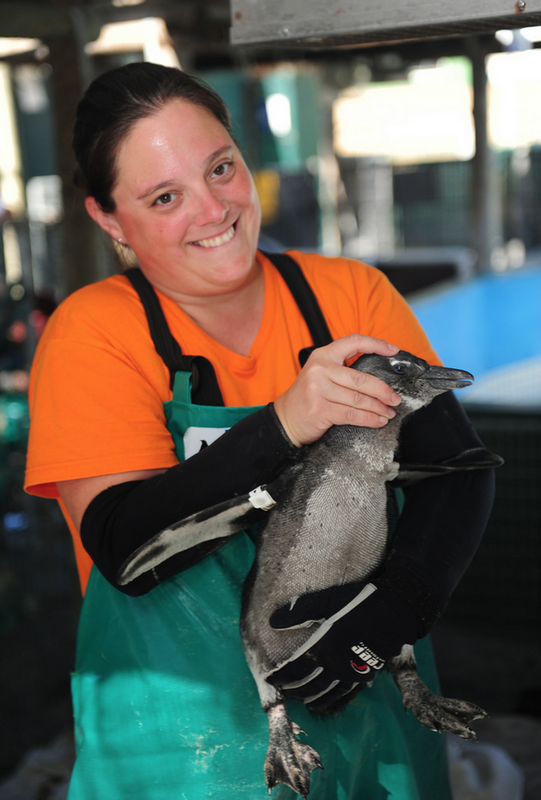 And most importantly is the fact that our penguins like most wild animals do not like to be handled or picked up. Although relatively small, our penguins are very strong, and would put up a fight. As staff, we are trained to handle them safely. But even with our skills the penguins will occasionally bite us. It seems pretty unlikely that a child would be able to capture a penguin and force it into a backpack and come out unscathed. 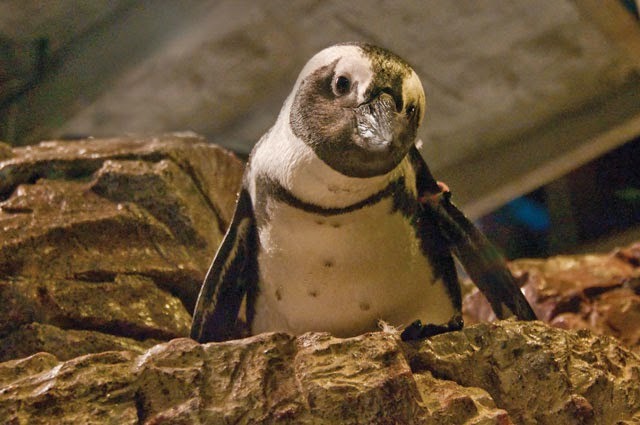 a penguin rescue program in South Africa. Since so many people asked about this myth in 2006 we held a press conference, to assure the public that none of our penguins were penguin-napped. Check out our Penguinology program happening this summer! Hahaha this sounds a lot like Diary of a Penguin-napper - the hit new kids book!